Sadly no less vain than the next person, I am still gratified (if still a little amazed) when this blog gets noticed around and about. Mr Michael Mullins, over at Australia’s Cathnews, has often done me the honour of a mention on his weekly Blogwatcher. He has referenced the blog again this week, this time with regard to the situation of the Leadership Conference of Women Religious (LCWR) in the USA, on which I have written recently here and here. As adults we should see ourselves as missionaries into the present culture. … Missionaries have always had to learn new language. … Young people make us think and challenge us to change. To take the tangential point first, Mr O’Malley’s experience may well have been interpreted by him with reasonable accuracy, in that some young people find the language of Christianity unfamiliar. In large measure I suspect that this is due to our post-Christian society in which Christianity is marginalised and largely silenced, except for the grudging concession of a voice in matters of social justice. A large proportion of young people have not been exposed to the Christian vocabulary which until recently was mainstream in our society. Nevertheless, I am not convinced that its entire vocabulary is so unfamiliar: most youth would understand the ideas of sin and salvation, at least in rudimentary form. There are two possible ways of dealing with this problem: either we abandon our language (as Mr O’Malley seems to suggest); or we can teach young people our language. No surprises – I am for the latter. Words are not mere expendables or variables in Christianity. They are more than words. The words, limited though they are, carry a meaning that is important, and they do so in as accurate way as possible. Some words have been fought over (to the death at times) in the history of Christianity: filioque, theotokos, Trinity, transubstantiation. The words we have retained were decided upon because they best conveyed the mystery they referred to. The integrity of our imperfect apprehension of mystery is so delicate that it could be shattered by an unsound change in the words used to name and elaborate it. So it is highly improbable that words such as sin, salvation, grace, Eucharist, and so many others, can be discarded on the basis of a misguided pragmatism. Christianity is a revealed mystery, and to appreciate it adequately one must learn its language. Certainly we can explain it and elaborate it in modern idiom. That is what catechesis is all about. Catechesis seeks to explain, say, sin in a way that is accessible to the modern mind; it does not do away with the word itself to achieve this. Babies and bathwater come to mind. There is a good reason why we have kept the word sin for 2000 years and more! So to suggest that the LCWR controversy is merely a matter of these sisters having changed a few words is a gross misrepresentation of the reality. To advocate women’s ordination in the face of the explicit Church teaching that it is is impossible is not a matter of changing words. To advocate the homosexual lifestyle as morally justifiable, or abortion as a legitimate choice, or contraception as a valid option, or a Christinaity without a Church – none of these are about changing words. What they involve is far beyond changing words: it is attempting to change the teaching entirely. This is why the tag recently gaining currency, the magisterium of nuns, is rather apt. The LCWR, in sponsoring and advocating such deformations of the faith as those just mentioned, has effectively set itself up as the authority in doctrine. It knows better… somehow. Maybe we have been reading the gospels wrong all this time, and Christ gave the power of the keys to the sisters, not to Peter and the apostles and their successors? The LCWR affair is not one of a failure in language or linguistic tolerance. It is rather a case of consistent, active and long-standing disobedience to, and disregard of, the teachings of the Church and the authority that guarantees them. Calling it “dissent” is merely camouflage. This is what has got the LCWR into trouble with the Vatican. Truth is very often inconvenient, but we cannot for that reason ditch it. In fact when faced with a truth that bites, we find ourselves called by God to move forward towards Him, a move further into Truth. The average person may balk at this usually painful hurdle and seek to sidestep it, and the sisters are human like the rest of us. But that is no reason to encourage others to do the same.Woe to her who leads one of God’s little ones astray. In this context, two theologians use the term “faith seeking understanding”, which originated with 12th century Benedictine philosopher St Anselm (pictured).dotCommonweal quotes Boston College theologian Lisa Sowle Cahill’s use of the term in her recent Guardian opinion piece on the Congregation for the Doctrine of the Faith’s (CDF) notification on Sr Margaret Farley’s Just Love. Theology … is not the same as official doctrinal teaching. Medieval thinkers defined theology as fides quaerens intellectum – “faith seeking understanding”. Theology is rooted in faith and practical concerns. But the main purpose of theology, unlike pastoral teaching or the definition of doctrines, is the understanding of God and of humans in relation to God. Ms Cahill overdoes the distinction between theology and doctrine. In fact, she separates them entirely, as if theology has nothing to do with “pastoral teaching” or “the definition of doctrines”. In doing so she dishonours the teaching of St Anselm, and betrays a most deficient understanding of theology. If theology is faith seeking understanding, then what is it seeking to understand? Surely God, Truth, the great Mystery of God’s love for us. The essentials of this are expressed in the Church’s doctrines. No theology can do away with them. They are the bedrock of our faith, the faith that seeks to understand them. Theology is not theology without faith. Without faith a scholar is actually pursuing religious studies, not theology. This may have some value in itself, but it has no valid or authoritative voice in the Church’s project of understanding God and his mystery. Of course, there is a place for speculative theology. As new situations and circumstances arise, the truth about and from God must be examined in order to be applied to them. However, speculative theology belongs in the secluded, discreet corridors of the theological academy, not on the shelves of Amazon or the local bookstore. The majority of Catholics are not able to find their way through the more complex subtleties of theological discourse. Confusion is the inevitable result, and theology that confuses or misleads the ordinary Catholic is bad theology. Which is why the Vatican was right to censure Sr Farley’s book: it makes assertions contrary to the faith as it is defined now and shall ever be. The Vatican is not banning the book’s publication; rather, it is saying that Farley’s book is an unreliable guide to theological truth. The Church’s theology is too important to allow confusion to be sown under the banner of “Catholic”. 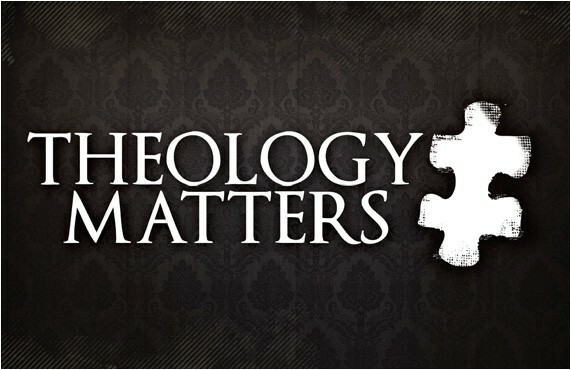 Theology matters too much. Like all human freedom, academic freedom is not unlimited. The theologian’s (as a theologian properly speaking, that is one who serves the Church through theological enquiry) freedom is not that of being able to advocate his or her own opinion of Christianity. Instead, it is the freedom to explore and elaborate the truth as contained in the Church’s body of doctrine, or deposit of faith, and to do so in fidelity to the Church, for the sake of the Church, without interference from outside the Church. No theology worth the name is done outside this context of the Church and of the saving faith which it seeks to foster. Spot on! There is nothing loyal about most public dissenters. In my mind’s eye I conceive of a ‘loyal dissenter’ as someone who could say something like “I find this teaching hard to accept, I can see reasons against it, and I would like to re-evaluate tradition to see if we have missed something. In the meantime I will uphold publicly the teachings of the Church that I have been called to serve, because I might be wrong”. I see very little similar to this; usually only theologians grandstanding, and jumping on the latest bandwagon of the latest cause celebre. Let’s be honest, cut the “loyal” and say they dissent! Thanks for this, Fr Hugh. I’m thinking of James 2:18 here… show me your loyalty apart from your assent and I by my assent will show you my loyalty! Good reference! Praying for them is the best we can do from this distance. And that is what we OSBs are for, after all…..